Once more, despite the doom and gloom the international media continues to disseminate about Greece, the City of Athens offers a message of optimism and hope through a joyful feast of activities offered in celebration of Greece’s version of Carnivale, the celebration leading up to the lent period before Easter. 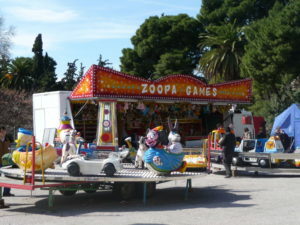 In Greece, this is traditionally thought to be the equivalent of an American Halloween, since costumes are de rigueur, although unlike an American Halloween which lasts only one day, the Carnivale celebration in Greece lasts three weeks, and this year, despite the economic crisis in Greece, is no exception. The City of Athens has planned a variety of activities of locals and visitors of all ages. The carnival crier along with the “mob” (don’t worry, this is a happy mob, costumed and ready to entertain you! ), takes to the streets the weekend of February 11 and 12 , inviting Athenians and visitors alike to carnival events scheduled throughout the city of Athens neighborhoods. The festivities continue on Shrove Thursday, of Tsiknopempti February 16 at the Athens Central Market with music from the Greek Music Workshop and snacks, offered by the Central Market’s Varvakeion Butchers Association and continue every weekend in February (February 18-19 and 25-26, 2012) culminating in the events celebrating Kathera Deftera, or Clean Monday, February 27, 2012. (Don’t miss the mad rush at midnight on Sunday night/Monday morning, February 26, 2012 when thousands of shoppers converge on the fish market side of the Central Market to purchase seafood for their Clean Monday celebrations. The Plaka is the focus of this year, acquired tastes, smells and rhythms of the old, the streets are home to the great Athenian Halloween party with songs, carousel, carnival mob, choir, operettas, etc. Along with the carnival festivities offered by the Municipality of Athens, the Plaka shop offering Halloween dish with wine at 4.50 €. On Sunday, February 19 Zappeion, all decorated for a festive carnival celebration welcomes families and children with mask workshops, a maypole, music games, and carnival customs from all over Greece. * The ever popular traditional day of kite flying on Filopappos Hill, adjacent to the Acropolis, featuring music by the Greek Music Workshop of Athens with Nadia & Nick Karagiannis. There will be soup, Laganas, olive and halvah. * In KAPAPS Park (in the Ambelokipi neighborhood of Athens), where the flying eagle traditional feast will be accompanied in cooperation with the 7th Municipal Community and Cultural Association A. Ambelokipi. See our events calendar and the listing below for times and further details. APOKRIAS 2012 – CARNIVAL 2012 February 16 – 27, 2012 PROGRAM Saturday February 11, 2012 and Sunday February 12, 2012 Lookout for the Carnival Crier and the happy mob! They’ll be roaming the streets of Athens wecoming in Athens Carnival 2012 Downtown and Central Athens Carnival Events for 2012 ATHENAS STREET – CENTRAL MARKET Tsiknopempti February 16, 2012 Smoke Thursday Platiea Kotzia (across from City Hall) 10:45 AM The music begins the infamous day of eating grilled and bbqed meats with the Latin sounds of the Athens Philharmonic Platiea Varvanieio (Athens Central Market) 11:30 AM The musical celebration and festivities travel along Athenas street, where the grills will be set up in the square adjacent to Athens Central Market – so if you simply follow your nose you’re sure to find something to celebrate! PLAKA Celebrate Smoke Thursday in the Plaka this year – lots of revelry and lots of food! Area restaurants will be grilling and barbequing – a special 4.50 euro meat platter will satisfy even the most economically motivated. The streets and squares will be filled with music and entertainment and other Carnival craziness! This is the place to celebrate. Tsiknopempti – Smoke Thursday Thursday, February 16, 2012 Time: 5:00 – 5:30 pm : The latin sounds of the Athens Philharmonic (hmmm, that sounds odd, doesn’t it?) Time: 6:00 pm : More music and performance outside the metro station – cantadas & operettas to delight us all. 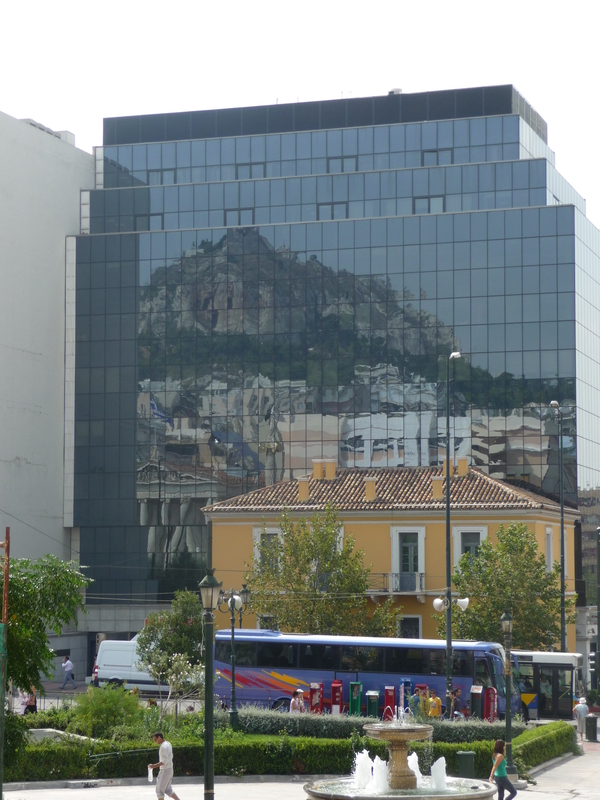 (Acropolis Metro Station) Time: 7:00 – 9:00 pm: Lakos of Maggani (Monastiraki Square) Time: 8.00 pm Balkan Mama (Streets of Plaka). 2 Saturday, February 18, 2012 Time: 2:00 pm Cantadas and operettas (Monastiraki Square). 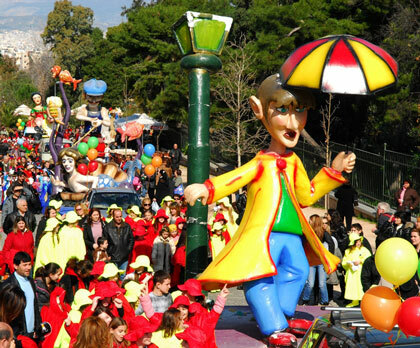 Time: 5:00 pm Athens Philharmonic plays Greek music (Acropolis Museum) Time: 7.00 pm Carnival events (Streets of Plaka). Sunday February 19, 2012 Time: 7:30 pm Carnivale cantadas (Streets of Plaka) Time: 8:00 pm «Balkana mama» (Streets of Plaka). Saturday February 25, 2012 Time: 5:00 pm Operettas and cantadas (Acropolis Museum ) Time: 5:00 pm Athens Philharmonic Latin rhythms (Monastiraki Square) Time: 7:00 pm Carnival events (Streets of Plaka) Time: 8.00 Carnival music and dance (Monastiraki Square) Sunday February 26, 2012 Time: 1:00 pm Latin sounds of the Athens Philharmonic (Thisseo metro station) Time: 7:00 pm Carnival events (Streets of Plaka) Time: 7:00 pm Athens Big Band concert (my favorite!) ν (Monastiraki Square) Time: 8:00 pm «Balkana mama» (Streets of Plaka) ZAPPEION Sunday February 19, 2012 Time: 11.30 am -2.30 pm All day celebration for the young and the young at heart.